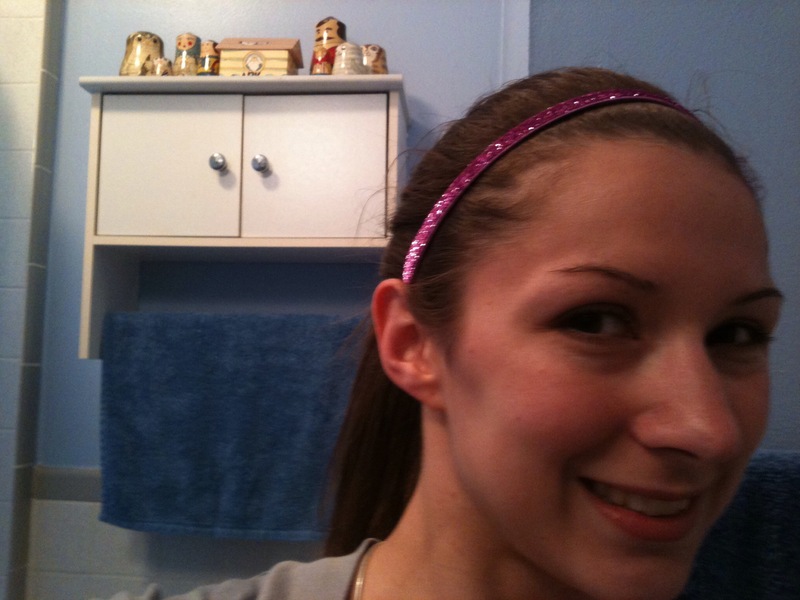 Sparkling on & on & on & on……..
Sparkly soul headbands are my favorite fitness product and my favorite hair accessory. 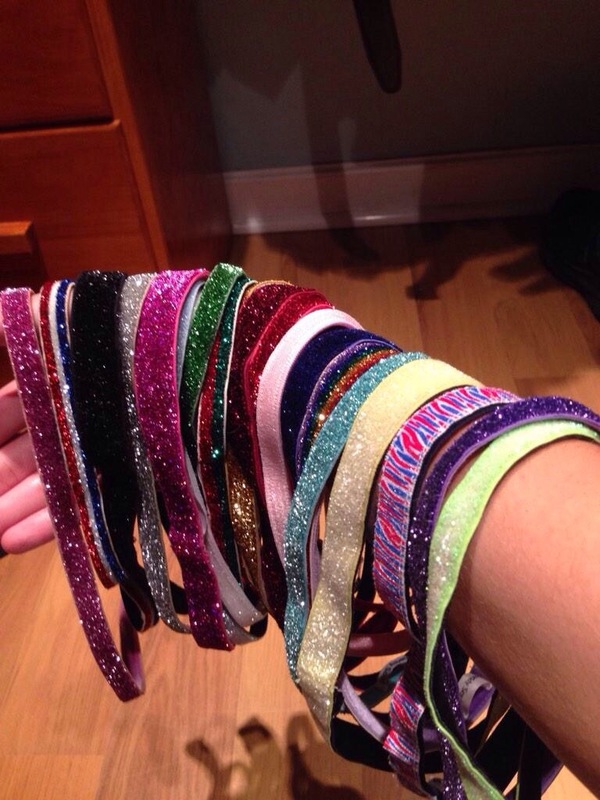 This is not an exaggeration and I am not haphazardly declaring my love for sparkly soul headbands. I fell in love with them gradually and it began on March 26, 2012. As a matter of fact, the very first thing I did when my sparkly soul arrived was take a sparkly selfie! I don’t even think selfies were relevant in 2012!!! If they were I didn’t know about their significance. Please note I’ve since remodeled my bathroom, if that isn’t proof that this selfie was taken longggg ago I don’t know what is! Anyway, after I took a sparkly selfie I went for a run and the headband did not slide off!!! I discovered sparkly soul on Twitter about a week prior to ordering this headband. I mulled over the decision to purchase one and finally decided to buy one because I read great tweets about the product, and because they were pretty! I was instantly hooked! Not only do these headbands keep my hair out of my face, once I grew my collection they became great for accessorizing too! I’m not a very skilled accessorizer but I do have a sparkly soul to match almost every outfit in my closet as well as all of my workout clothes! Over time I learned more about sparkly soul inc. I learned that the main platform of the company was to empower women to find the inner strength and reach their goals. This was definitely another reason I’ve become such a huge fan of sparkly soul headbands!!! Basically, the rest is history. Previous Post Christmas Trees, Stories & Love!!!!! !